Resene X-200 is a waterborne weathertight membrane that is used either on its own or under Resene textures such as Resene Resitex (see Data Sheet D70) or Resene Sandtex (see Data Sheet D71). It is perfect on concrete, blockwork, fibre cement sheeting and solid plaster, where weathertightness is required. Resene X-200 may be brushed into small cracks (less than 1mm) to prevent moisture entering the damaged substrate. For cracks 1-2mm use Resene Brushable Crack Filler (see Data Sheet D811) or a suitable sealant. 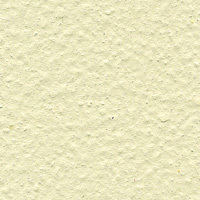 Resene X-200 has a lightly textured low sheen finish, in keeping with current trends for lower gloss finishes. It is easily applied and has excellent durability. Available in a wide range of colours, colours off white and pastel tone are available for tinting in store. Colours off light, mid and deep tone are available for tinting ex factory and other colours are available on request - minimum batch sizes may apply. Resene X-200 Weathertight Membrane is Environmental Choice approved. Architects Memo February 2006 want a good raincoat  tough! Architects Memo April 2001 hydrophobicity... how repellent is it? Architects Memo April 1985 does your paint breathe?